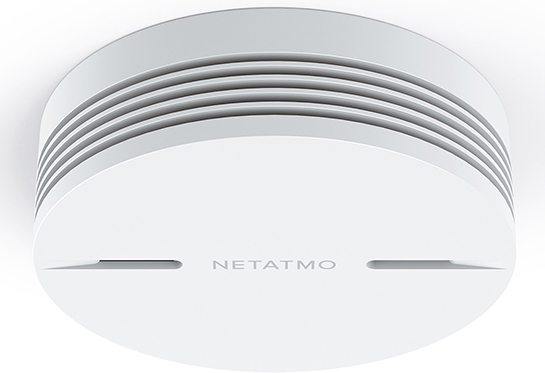 French company Netatmo has unveiled two new consumer-facing smart home products at CES 2017 this week, namely the HomeKit-compatible Smart Smoke Alarm and non-HomeKit Indoor Security Siren. In addition to activating a loud 85-decibel chime when it detects smoke, the connected Smart Smoke Alarm uses a home's Wi-Fi network to send real-time smoke alert notifications to paired smartphones so that homeowners can alert emergency services or carry out other actions necessary when away from home. The smoke alarm is equipped with a 10-year battery, and an alert will be sent when it approaches the end of this lifetime and needs to be replaced. For peace of mind, the alarm automatically performs constant battery and overall performance tests, generating self-check reports that are sent directly to paired smartphones. 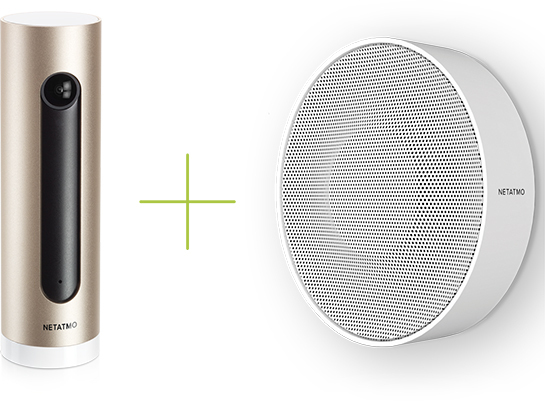 If the smoke alarm is activated by burnt toast or another false trigger, a Bluetooth LE hush feature enables it to be easily silenced with a paired smartphone using the free Netatmo Security app. An integrated LED strip on the front of the alarm enables users to view its current status at a glance. HomeKit compatibility allows users to create smart home scenarios involving the Smart Smoke Alarm. For example, it can be configured to switch on all your smart lights when smoke is detected to make sure the whole house is alerted. Meanwhile, Netatmo's new Indoor Security Siren activates a piercing 110-decibel chime when a home intrusion is detected by Netatmo's existing Welcome camera or Tags, with a goal of scaring away intruders. The siren is highly customizable and can be adjusted so that it is only triggered in specific situations. For instance, homeowners can choose to only sound the siren when an unknown face is seen while the house is unoccupied. They can also choose to activate the siren when the Tags detect that a specific door or window has been opened. The siren includes a handful of pre-installed voice messages such as "the police are on their way" which homeowners can choose to activate in order to hopefully deter intruders. The siren also detects vibration and movement, so it can tell if someone tries to tamper with it and notify the homeowner immediately. The Indoor Security Siren can be controlled with the free Netatmo Security app, including for on-demand alarm activation, and it is also programmable with IFTTT. However, unlike the Smart Smoke Alarm, the siren does not support HomeKit. Netatmo said both products will be available in the second half of 2017, but it has not disclosed pricing at this time. For reference, the Smart Smoke Alarm's main competitors include the non-HomeKit Nest Protect for $99 and HomeKit-enabled First Alert Onelink for $119.95, each of which also have carbon monoxide alarms. Shame there's no mains powered version like the one Nest offer. The night light function in the Nest is nice too. But I still can't wait to replace it with something worthy - this doesn't seem to be it. No Carbon Monoxide Detection and no price tag at launch = no buy. There will be a price tag at launch, what kind of stipulation is that? Of course you won't buy it unless you know what it will cost...but it hasn't launched yet.